Imagine yourself relaxing in the backyard with a roaring fire in front of you. It may sound like the ultimate luxury, but you could make it happen quickly. All you have to do is pick the outdoor fireplace style that works best for your yard, budget, and building skills. As you start to research options, remember that the style you choose depends on your landscape and your willingness to put in some extra work. Some fireplace kits are ready to burn from the moment you open the box, but others may call for hours of setup. Keep safety and legality in mind while you shop. 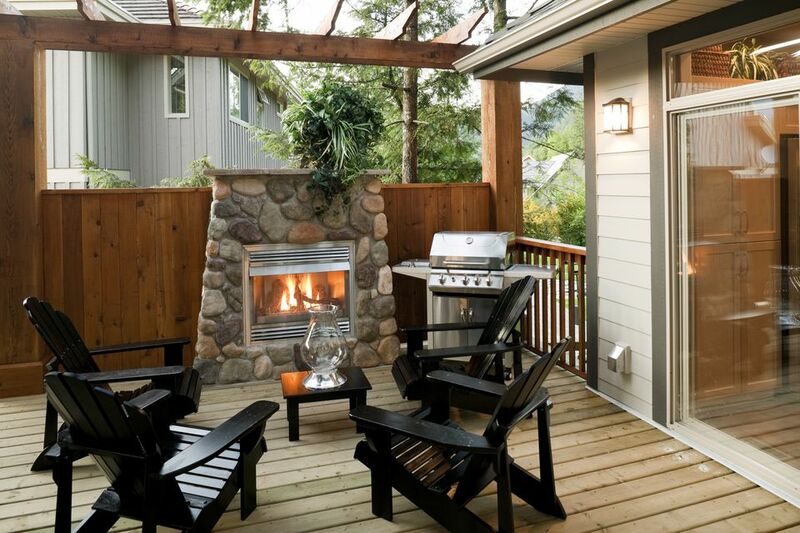 Confirm that your property’s zoning rules say you can install an outdoor fireplace. Take note of any guidelines you must follow by law, such as building the fireplace’s foundation in a certain way. Select a spot for the fireplace that is unlikely to ignite any greenery nearby and ensure that the smoke will not blow back into your house. Every outdoor fireplace kit needs a heat source. Natural gas, propane, or wood are the typical choices. Many different outdoor fireplace models work with more than one heat source, but not all of them. Since the heat source may require extra work and money for installation, you should choose the fuel that suits your needs. Wood-burning fireplaces need a steady supply of wood and a place to store it. Propane-powered fireplaces cost about $100 extra to install. Natural gas fireplaces are less expensive If you already have gas lines in your home. It’ll cost you around $200 to run a gas line out to your outdoor fireplace location. Expect more if you have to install a line from the street. Some people need an outdoor fireplace that demands as little work as possible. If this sentiment applies to you, a pre-assembled fireplace kit is your best bet. Most pre-assembled kits are ready to use right out of the box or call for a small amount of assembly to get it going. Pre-assembled kits typically come with a metal stand and a fireplace with a short chimney on top for ventilation. They range in price from around $50 to almost $1,000. Pre-assembled outdoor fireplaces are often made of clay or cast iron. Consider the size you need before you buy to avoid ending up with a product that is insufficient. Do you want a larger outdoor fireplace that you can settle into your outdoor décor? A prefabricated outdoor fireplace kit might be right for you. These fireplaces vary in the level of customization and assembly needed. Since prefab or modular kits are much larger and feature additions such as brick or stone, they generally go for a higher price. Models range from under $2,000 to well over $8,000, depending on the size and materials used. Unlike an indoor fireplace, outdoor fireplaces might not have the advantage of insulation to keep heat in. The size of the finished construction may not show the size of the fireplace. Common sizes start at 30” but extend to 36” or 42” for larger entertaining spaces. When you want to build an outdoor fireplace into a larger outdoor hardscaping plan, you need a customizable fireplace kit. The level of personalization you look for depends on how invested you want to be in the process. Paying $2,000 to $5,000 could give you the freedom of choosing your own colors, which might be all you need to feel like the fireplace is uniquely yours. For the ultimate customization, expenses tend to increase. The simplest outdoor firebox might only cost you about $1,000 to start. But, you may also need to buy the right bricks or stones and hire an expert to install the fireplace and masonry. This averages about $2,000, not including materials. Paying for an effective installation may help you avoid the likelihood of chimney repairs, and that costs about $500.